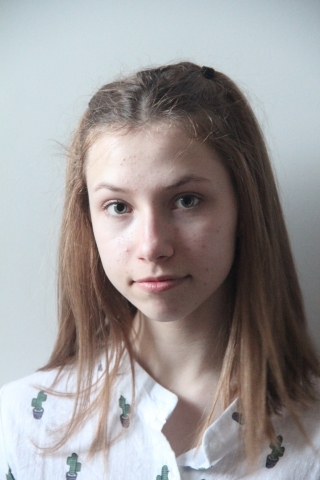 My name is Klara Miranowicz and I am 16 years old. I am a really passionate and enthusiastic person who would love to pursue a career in acting. People say I'm bright, flexible and confident. In addition, I'm very hard working and try things to the very best of my ability. In my spare time, I record videos to help me with my acting abilities but I also love to learn new things like languages (like French and deaf-blind sign language). To develop my skills, I was part of an acting group called Nottingham Actors Studio (also known as The Talent 1st Organisation) and now I'm attending a musical theatre group West End MT. Even though I am new to the acting industry, I've had previous experience of being in a music video and also a photoshoot for empowering girls. I've been in a music video for a new band 'Animal Breakdown' and also a photoshoot for empowering girls. I had an art modelling photo shoot for Empowering girls.